The Ryder Cup is a biennial men's golf competition between teams from Europe and the United States. The competition is contested every two years with the venue alternating between courses in the USA and Europe. 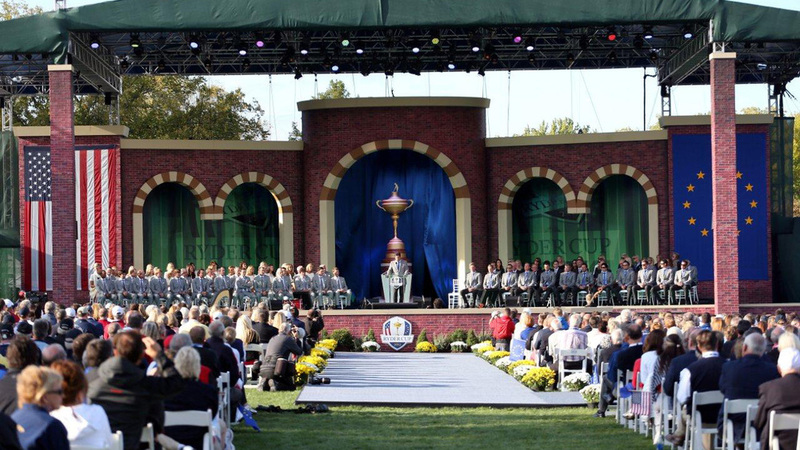 The 39th Ryder Cup was held September 28–30, 2012, at the Medinah Country Club in Medinah, Illinois, U.S.
240,000 - The number of people who rolled through the Medinah gates between the first day of practice rounds on Tuesday and the final pairings on Sunday. 22 - The number of countries represented in the media, including China, Switzerland, Sweden, Mexico, Italy and Spain. 6,000,000 - US television viewers for final days broadcast.